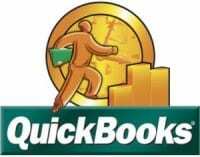 QuickBooks is an accounting software package developed and marketed by Intuit. Small business owners can manage payroll, inventory and sales through this multifaceted software. Finances such as: monitoring expenses, creating invoices, tracking orders, keeping track of vendors/customers/employees and inventory becomes fairly simple with this program. If you have just bought or downloaded QuickBooks and are a novice at accounting software, you may need some tips for getting started in the right direction. There are hundreds (if not thousands) of Tips and Tricks pages on the internet. It can get a bit overwhelming. Here are some of the best pieces of advice we have found after analyzing many “How-To” sites. Learn how to use QuickBooks – QuickBooks has an excellent “interview” process for setting up a new company when you first start your software. There are also QuickBook tutorials and video lessons that you may want to partake in before you begin the program. Even if you are fairly comfortable with bookkeeping, you may want to follow one of these lessons just to be sure you are setting up your company page, vendor pages, and employees pages correctly. YouTube and Google have many to choose from including help for beginners all the way up to expert tips. For quick and common questions as you are using QuickBooks, try using the Help Feature on the menu bar. For more complicated problems you may want to contact a QuickBooks professional. Customize the Tool Bar and Right Click options – While QuickBooks comes with a default icon bar at the top of the screen, users can add, remove, or modify the icons to better suit work needs. In addition, QuickBooks makes extensive use of right-click menus everywhere in the program. Try right clicking instead of heading right for the toolbar icons and menus. Use “Classes” and Exporting Tools – When you’re working with Preferences, make sure Classes is turned on (Edit | Preferences | Accounting | Company Preferences | Use class tracking). Additionally, Classes are your own way of categorizing elements of a business. Exporting QuickBooks’ reports are highly customizable, but they don’t have Excel’s power to manipulate and format data and to run what-if scenarios. Users can easily export QuickBooks reports to Excel. QuickBooks can be such a time saver and get your business finances organized, but you will need to take the time to learn the ins and outs of the software in order to use it efficiently. Here are some quick Resources to get you started.